Carol has a background in business management and managed the financial side of Bellcare for the previous owner, prior to taking over the company in June 2006. Since then, the company has grown in size and achieved Investor in People status and consistently high Care Quality Commission reports. Ian is Carol's husband and also shares her strong ethos and principles. "Our management team is one of our greatest strengths, and our care workers are a wonderful asset; we all share the same objectives which are to provide the best care possible for the people of Cumbria." Georgina's professional background is in nursing, having worked in the NHS for 18 years. "I enjoy solving problems and will always strive to excel in everything that I do because the decisions I make with my management team have a direct impact on the individuals that we support." Viv has been with Bellcare since 2005. She has varied duties, but main responsibilities are to maintain and implement the various contracts we have with our private Service Users and other commissioning bodies such as Cumbria County Council, Adult Social Care and NHS Cumbria. 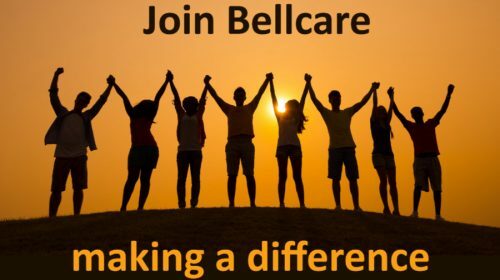 Since joining Bellcare in 2001, Debbie's role has progressed from Care Worker through to a key member of the Management Team. She is a qualified care trainer and is also progressing her career through further learning and personal development. We simply could not do without Carmal's organisation and administration skills in our Workington office. Carmal responds to many enquiries from Staff and Service Users to Adult Social Care and Health Care Professionals, one of her special skills is to organise us all during the festive period.